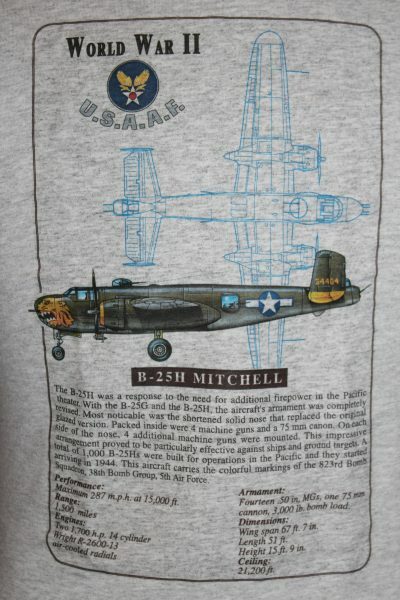 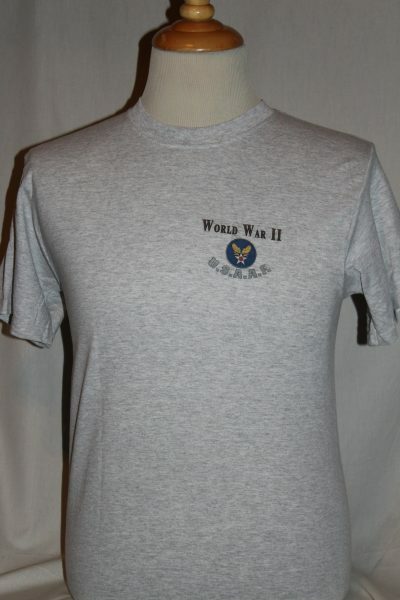 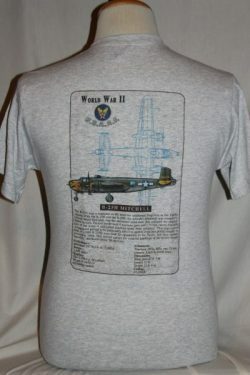 The "B-25H Mitchell Bomber" shirt is a two sided print in the color grey. 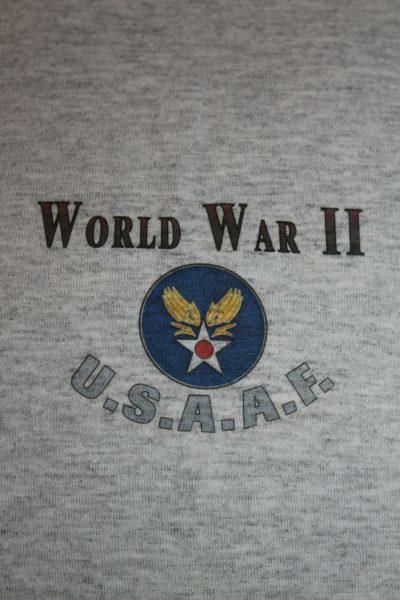 Front Design: USAAF Symbol with text. 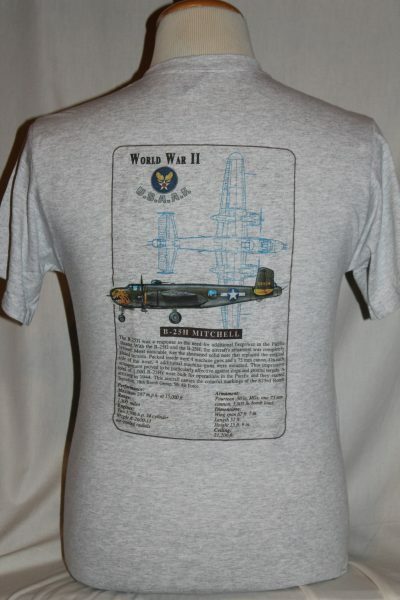 Back Design: Overhead outline view and a side view of the B-25H Mitchell with text and symbol.